How do you work with the children with Aspergers in the classroom? When one of your students has Asperger’s, classroom strategies will be necessary to keep everyone in harmony. Children with Asperger’s Syndrome have very distinctive needs. Usually very intelligent, the student with Asperger’s may struggle to make the grade due to the characteristics of this condition. Sensory issues, difficulty with change and transitioning, and language pragmatics weakness are just a few of the many symptoms caused by Asperger’s Syndrome that can interfere with a child’s education. As a classroom instructor, you must find a way to support your student with Asperger’s. Classroom distractions, social situations, and the student’s tendency towards obsessive thinking and behavior can make this a difficult task. Your first move should be towards purchasing a published resource. You can find classroom guides for all types of special needs situations. Your school’s special education department should have helpful information about the challenges of Asperger’s. Classroom strategies should be available to you through this department. As you begin to research classroom strategies for Asperger’s, here are some examples of what you may find. You can eliminate those suggestions that do not apply to your classroom situation. * Structure is one of the most common solutions since most students with Asperger’s Syndrome thrive in structured environments. Keep your students engaged throughout the day for the best possible performance. * Rules are important for all children, but kids with Asperger’s tend to be especially mindful of the rules. Even in times when he desires to go a different direction, the rules will keep your student with Asperger’s on track, albeit, begrudgingly. * Routine is another necessity. Children with Asperger’s Syndrome need to know what is happening next or they can become anxious and unproductive. * Advanced notice of any changes in routine will help reduce the drama caused by unexpected transitions. * Verbal and visual aids like verbal time warnings, visual timers, and daily picture schedules can help ease the student’s mind about changes and transition times. * A safe place is an area in or outside of the classroom that can be used during a meltdown, or to prevent a meltdown. These are just a few of the many strategies you can use to assist your student with Asperger’s. Classroom guidelines against bullying and negative social interactions should also be considered. With these solutions in place, your classroom should remain a positive learning environment. How can I help my son with Aspergers to gain advocacy skills? 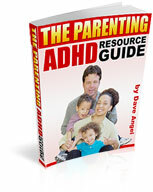 It is important that parents teach their children with Asperger’s advocacy skills. In order to become independent adult, your son must be able to speak for himself. Because you recognize this vital need, your son has a true advantage for a bright future. The first step to teaching your son about self-advocacy is explaining exactly what it means to be an advocate. Learning about Asperger’s advocacy is not complicated. A self-advocate will be able to stand up for himself, will make his own decisions, and will understand how to find relevant information, where to find support, and what his personal rights are. A self-advocate will be able to take all of this information and ability and use it for the appropriate purposes, to advance his position in the world. There are several resources you can use to teach your son with Asperger’s advocacy skills. One example is the program, “The Integrated Self-Advocacy ISA™ Curriculum: A Program for Emerging Self-Advocates with Autism Spectrum and Other Conditions,” by Valerie Paradiz, Ph.D.; foreword by Stephen Shore, Ed.D. (Separate student workbook is also available.) This program is a complete curriculum that guides the individual to make a self-advocacy portfolio. It can be used in the school setting or in the home. When teaching your son with Asperger’s advocacy skills, you must first begin with self-awareness. Your son must know his diagnosis of Asperger’s, what it means for him personally, and how it affects him in every way. Once he owns his diagnosis, he will be on his way to making his own decisions. However, there is still a lot of work for him to do before he becomes a self-advocate. Here are the next steps. He needs to witness an advocate in action. This can mean watching you during his IEP meeting, for example. It could also be a specific advocacy aide that is chosen to work with your son. He will watch this person plan the motion, but only as an observer. He needs an advocacy aide to act as his guide. This aide will plan the activity or motion along with your son, sharing the advocacy opportunity. This step can take quite a while, with the guide’s participation slowly weaning downward. Eventually, the participation will become equal and then move on towards independent self-advocacy. Given the variable of self-advocacy opportunities, this step could take months or it could take years. He needs the support of his aide as he begins to take on more responsibility. This step will evolve slowly over time, as discussed above. He needs to take control as his aide witnesses his self-advocacy. You will notice that the roles have completely reversed. Your son is now gaining control.